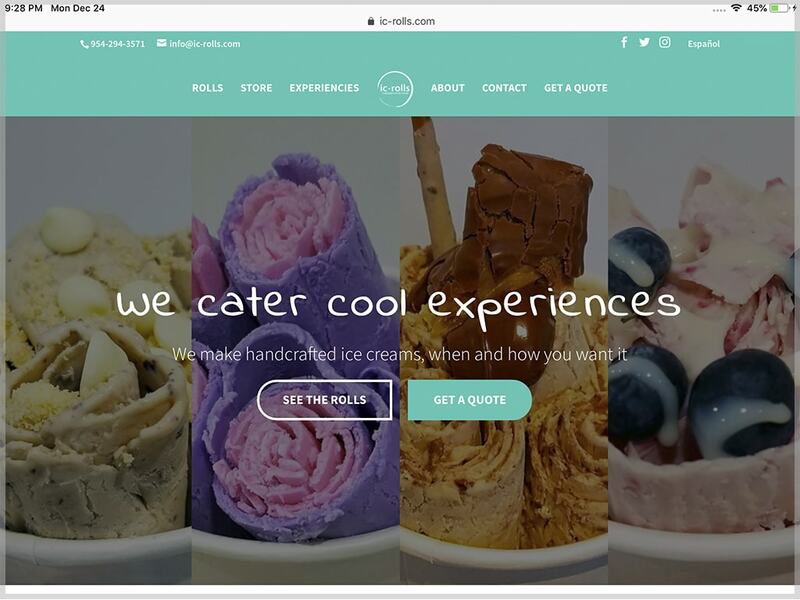 IC-Rolls is a company that produces handcrafted ice cream right in the moment, according to the customer’s request. They have a point of sale in Miami and can also be hired to attend events. They needed a website to advertise their product and obtain requests for events. On the website designed for them, many images and the story about how and why they started this business were included.